I have suffered the catastrophe of losing a tank full of shrimp after having to bomb for cockroaches in a house we rented a while ago and left my air pumps on and my tank unprotected. Here is how you can successfully bomb for cockroaches and fleas safely without an impact on your shrimp. 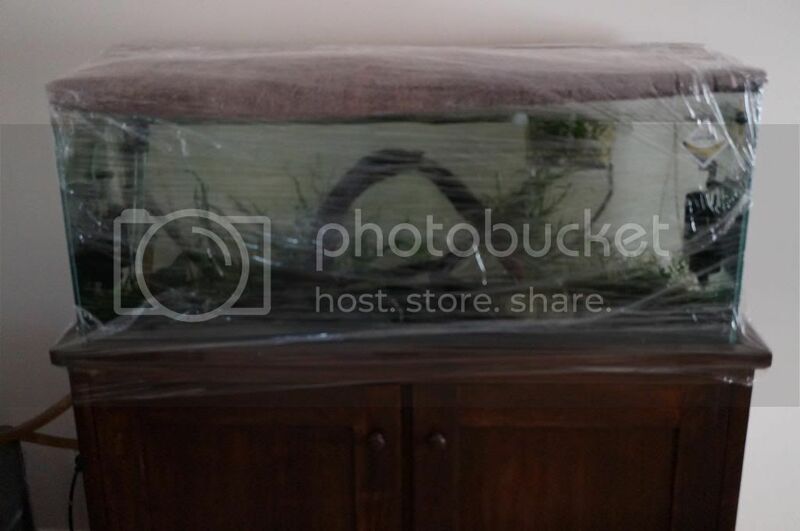 Step one is to wrap your entire tank(s) in cling wrap. I did this a with two layers of cling wrap which cover the glass and over the lids. You want to ensure there are no gaps in your cling wrap. Wrap some wet old bed sheets around the top of your tank or utilise wet some towels. You then want to place the towels over the top of the tank, the idea of the sheets and towels being wet is to catch any of the pesticide particles and have them settle on the towel as opposed to entering any gaps you cant see. Repeat step 1 and wrap another layer of cling around the tank and towels. Turn off all air pumps and wrap them in cling wrap. The last thing you want is any pesticide from the spray landing n your pump and being pushed into the water column when you turn the pumps back on. Wrap you cabinet in cling wrap, my cabinet is an open back so was imperative that i covered it. You want to ensure any gaps in the doors and what not are covered. Wrap any items which go into your tank in cling wrap or remove them from the room which is being sprayed. This might include things such as nets, gravel vacs, air hosing and even containers holding your food. You do not want pesticide on the outside of your container and you touch it before feeding your shrimp. Another big one is Buckets! Last thing you want is insecticide in a bucket and you do a water change! Wear gloves or wash your hands thoroughly after removing the cling wrap and towels. It sounds like overkill but the last time i utilized this method was to deal with a flea infestation and would not put my shrimp before my families well being. Thankfully utilizing this i was able to keep both safe without 1 loss my shrimp!